If you’re on a plan to help you build muscle, then you must make sure that you’re not skipping over the muscle building vegetables that you should be eating. 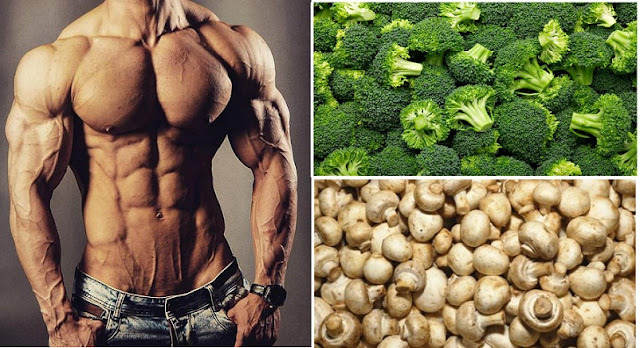 Far too many skinny guy’s entirely cut out vegetables due to the fact that they are lower in calories and when you’re trying to take in 4000 plus calories per day, it can be quite the feat to try and fit these all in. You feel stuffed and thinking about a full plate of broccoli is the last thing you want to be doing! But remember, there are plenty of ways to get around this. First, you don’t necessarily need to eat huge amounts of the muscle building vegetables to get good results. As long as you have a one cup serving with a few of the meals out of the day, you will be well on your way to meeting your nutrient needs. Muscle building vegetables do supply many of the essential nutrients that the body needs to properly generate muscle mass, so you cannot overlook their importance. If you’re still struggling to get them in, then also consider blending them up into your sauces as that will eliminate much of the ‘bulk’ that you experience by eating them. Let’s have a look at some of the top muscle building vegetables that you should consider. If there’s one vegetable that can’t be beat when it comes to good nutrients, broccoli is it. Broccoli is loaded with antioxidants that will help to fight off disease and is an excellent source of potassium that will keep your muscle contractions going strong. Whether you want to steam it, stir-fry it, or eat it raw, broccoli is definitely something that should be added to your meal plan. Second on our list of top muscle building vegetables is asparagus. Asparagus is another one that’s very easy to prepare and can be eaten with many different meals. Asparagus is relatively low in calories so don’t load up on it as it will fill you up, but having three to four spears of it per meal will work perfectly to help you get those nutrients in.